» No, Really, Who’s That Guy? The Last Great New York Band? No, Really, Who’s That Guy? He began his MLB career with a historic streak and has dominated ever since, yet he’s toiling in anonymity. Why? It starts and ends with how he throws the ball. This is usually the part of the column where I spend a few hundred words explaining why I’m writing about Team X or Player Y. Today, however, I’m going to dispense with the formalities and present a pop quiz. In the live ball era, which began in 1920, a few more than 2,200 pitchers have thrown 350 or more innings in the major leagues. Among those pitchers, Mariano Rivera ranks first with a career 2.21 ERA, which should surprise exactly none of you. Billy Wagner ranks second with a 2.31 career mark, which should surprise very few of you. Who ranks third depends on the day, as two active pitchers have vied for the title all season, with the leader commonly being the one who last pitched a scoreless inning. One of them is Jonathan Papelbon, whose career ERA currently stands at 2.39. The other pitcher’s career ERA also currently stands at … 2.39.1 So, who is he? Hint no. 1: He’s a reliever. Hint no. 2: He’s right-handed. Hint no. 3: His career ERA has never been above 2.55. Hint no. 4: 95 percent of baseball fans have never even heard of him. Hint no. 5: 19 percent of the walks he’s allowed in his career have been intentional. Hint no. 6: In 417⅓ career innings, he’s surrendered just 13 home runs. Hint no. 7: His fastball averages around 85 mph. It is perhaps appropriate that our mystery pitcher is currently toiling in middle relief for a Western team that’s tied for the major league lead in losses, the perfect recipe for anonymity. After all, he’s been overlooked his entire career, despite starting off as successfully as any pitcher in MLB history. 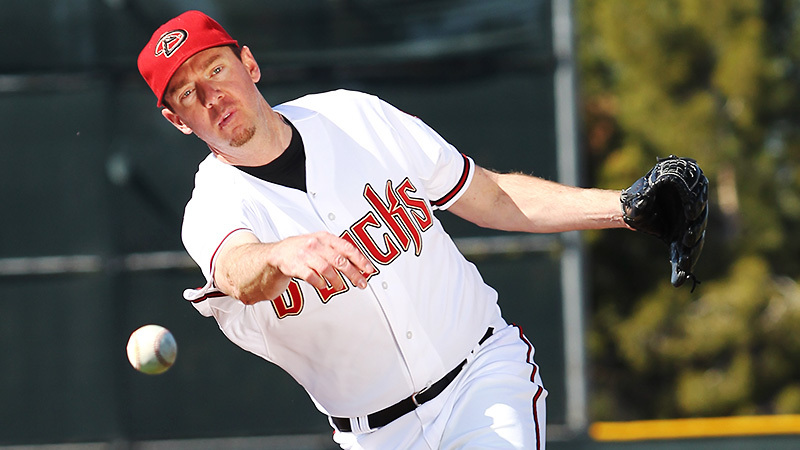 His name is Brad Ziegler. You probably didn’t guess him. He throws submarine-style. And the previous sentence explains the one before it. Ziegler made his major league debut on May 31, 2008. On August 14, he finally gave up a run.3 In between, he threw 39 scoreless innings, allowing 21 hits — all singles — and 11 walks. That consecutive scoreless-innings streak is one of the longest in major league history, and it came at the very start of Ziegler’s career. In fact, he shattered by more than 50 percent the previous record for most scoreless innings to start a career (25), which George McQuillan set with the 1907 Phillies. The streak made Ziegler a sensation for a time, but it never made him a phenom. Many considered the run as much of an anomaly as Ziegler himself, given that he was never supposed to reach the majors in the first place. The A’s originally drafted him in the 31st round out of Southwest Missouri State in 2002, but he chose to return to college for his senior year. The Phillies then drafted him in the 20th round the following year, but released him in the spring of 2004, after he’d thrown a total of six innings as a pro. Ziegler hooked on with an independent league team, the Schaumburg Flyers, and did enough to earn a contract with the A’s. He pitched well in 2004, but in the California League playoffs a line drive fractured his skull and left him in the ICU for six days. He returned in 2005 to lead all A’s minor-leaguers in strikeouts, and reached Double-A. He also posted a 4.94 ERA and turned 26 after the season, so minor league pitching instructor Ron Romanick suggested Ziegler might want to scrap his conventional overhand delivery and pitch as a submariner. It took Ziegler a full year to accept that switching to a submarine delivery was his best chance at a major league career, but he finally made the change in the 2006 instructional league. In 2007, the conventional — and marginal — starting pitching prospect was fully reborn as a submarining reliever. Ziegler delivered a 2.41 ERA in 78 innings in the minors in 2007, then a 0.37 ERA at Triple-A in 2008. In 103 minor league innings after the switch, Ziegler didn’t give up a single home run. Transformations as dramatic and instantaneous as Ziegler’s aren’t supposed to be possible without a wand. Yet he was immediately dominant in the minor leagues, and immediately and historically dominant in the majors. He finished his 2008 rookie season with a 1.06 ERA. In 2009 and 2010, he was merely very good instead of great, posting ERAs of 3.07 and 3.26, but from 2011 to 2013 his ERAs read 2.16, 2.49, and 2.22. This year, he’s clocking in at 2.28. He has literally never been an ineffective major league pitcher. So why does it take seven hints to get the pop quiz right? The answer lies in how Ziegler throws the ball. The art of submarine pitching is not a new one. Pitchers were actually required to throw underhand until 1872, during baseball’s era of antiquity. Even after the modern pitching era began in 1893, when the pitching rubber moved to 60 feet and 6 inches from home plate, it wasn’t unheard of for pitchers to throw from south of the equator. Cy Young himself would occasionally fling one up there underhanded to mess with a hitter. Submarine pitchers became more prevalent around the time relief pitchers became more prevalent. As a class, submarine pitchers tend to have huge platoon splits, because the angle at which they release the ball is much easier for batters on the other side of the plate to pick up than for same-side hitters. This has always made the submarine starting pitcher a dicey proposition, but in relief, the submariner can be deployed based on the composition of the upcoming batters, and thus becomes a much more useful weapon. Abernathy started a trend that accelerated over the years. Kent Tekulve came up in 1974 and pitched 16 years in the major leagues, finishing with a 2.85 ERA, and when he retired had pitched in the second-most games (1,050) in baseball history. He closed out the 1979 World Series for the Pirates. 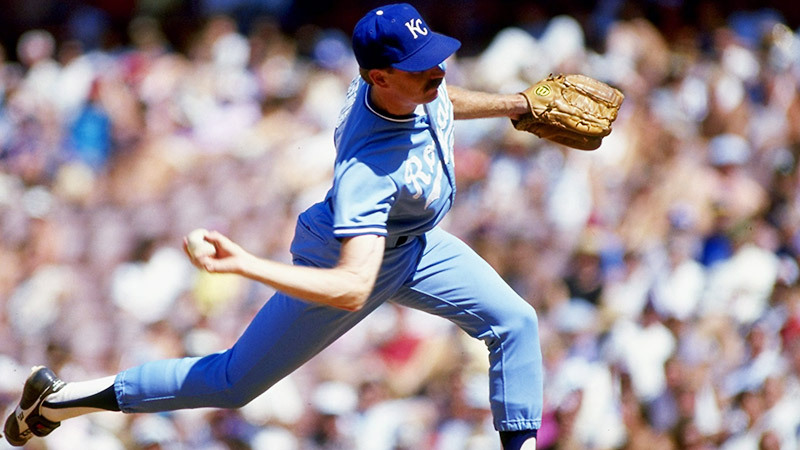 Dan Quisenberry reached the majors in 1979 and led the AL in saves five times from 1980 to 1985, finishing in the top five in the Cy Young vote all five years. He finished his career with a 2.76 ERA and is, in the interest of full disclosure, probably my favorite player of all time. Terry Leach pitched in the majors from 1981 to 1993, finishing with a solid 3.15 ERA and winning two World Series, one with the 1986 Mets and one with the 1991 Twins. In 1986, an unheralded rookie named Mark Eichhorn, who had briefly pitched in the majors in 1982 but then spent the next three years in the minor leagues, broke camp with the Toronto Blue Jays. Eichhorn proceeded to have one of the all-time greatest seasons by a reliever, posting a 1.72 ERA, 14-6 record, and 10 saves in 157 innings.6 Eichhorn was never again that effective, but he remained a very good reliever for the next eight years. There has been a steady stream of submarine pitchers since Eichhorn, with usually one or two active at any given time. Todd Frohwirth. Steve Olin. Mike Myers, the rare left-handed submariner. Chad Bradford, whom Moneyball briefly turned into a star. In addition, a number of pitchers have operated in that gray zone between sidearm and submarine-style, including Steve Reed, Byung-Hyun Kim, Pat Neshek, and Darren O’Day. They were all effective: There’s obviously a selection bias going on here, because submarine pitchers who are not effective are not going to last long enough in the majors to be remembered in pieces like this. Still, it’s imperative to note that every one of the pitchers I just listed had a well-above-average ERA for his career, from Myers (112 ERA+) to Quisenberry (146 ERA+). Ziegler, with a 171 ERA+, has been more effective than all of them. They were all completely overlooked as prospects: Tekulve and Quisenberry, two of the 20 best relievers of all time, were not drafted at all. Neither was Leach or Reed. Eichhorn was a second-round pick,7 but he was actually drafted as a conventional pitcher and converted to submarine pitching after a shoulder injury. Myers was a fourth-rounder and Neshek was a sixth-rounder; no one else listed above was drafted prior to the 10th round. Ziegler’s fastball has averaged between 85 and 86 mph for his career, which makes him Nolan Ryan compared to some of these guys. It’s true that a pitcher’s peak velocity drops with his arm slot, which is why Bradford threw as slow as he did: He had perhaps the lowest arm slot of any submarine pitcher, scraping his hand on the ground on more than a few pitches in his career. But suffice it to say, even throwing overhand none of these guys could break 90 mph, which would be a marginal fastball for a right-handed pitcher. “If I’m going to throw 85 submarine or 88 … well, major league hitters crush 88-mile-per-hour fastballs,” Ziegler said when I spoke to him last week. It’s not that throwing submarine-style is inherently easier on the arm. “I don’t think it’s any easier on my arm than an overhand motion,” Ziegler said. But one of the prevailing theories about today’s arm-injury epidemic — and keep in mind we’re all just guessing here — is that there’s a correlation between velocity and injury risk. The human arm wasn’t built to repeatedly throw at 95 mph and up, which works out for submarine pitchers, who are in no danger of hitting that mark, or anywhere near it. While Ziegler is reluctant to contradict modern bullpen practices, he acknowledged it might be possible for him to throw more innings. “If you’re going to pitch in 50 or 55 games but throw 100 innings, you need days off,” he said. “The question at that point is: If you’re committing to throw multiple innings, you’re committing to not having that guy the next night. And that’s a decision the manager has to make.” Every manager in baseball has made the same, conservative decision, which is why no reliever has thrown more than 96 innings in a season since 2006. They don’t strike out a lot of batters: Quisenberry struck out just 8.9 percent of the batters he faced; no pitcher in modern major league history has been as effective as Quiz with so few strikeouts relative to his era. Eichhorn struck out 166 batters during his glorious rookie season, the second-most by a reliever in major league history, but he amassed a below-average strikeout rate the rest of his career. Bradford struck out just 313 batters in 516 innings. They keep the ball on the ground: This is the secret to submarine pitchers’ success. Because they throw the ball with the hand underneath instead of on top, the usual rotation is replaced with a topspin that tends to come off the bat headed down instead of up. Combine that with location (submarine pitchers work low in the zone, and their diminished velocity provides extra time for gravity to assist with that) and their relatively low reliance on breaking pitches (which are hit for fly balls more often), and you have all the ingredients for a worm-killer. The average ground ball rate in the major leagues is around 43 percent in any given year. For his career, Myers was at 55 percent. Bradford approached 64. We don’t have ground ball data for the earlier guys, but we can use home run rate as a proxy. Tekulve surrendered just 63 home runs in 1,437 career innings, and Quisenberry just 59 in 1,043 innings. Including Leach, Eichhorn, Frohwirth, and Olin, not one of these guys gave up more than 0.5 homers per nine innings, which is roughly half the major league average. None of the other guys on this list played in such a home run–friendly era. Relative to his contemporaries, Ziegler may be tougher to take deep than any pitcher in history. Ziegler’s freakish ability to keep the ball on the ground not only keeps homers off the scoreboard, it also erases runners from the bases by virtue of the double play. In 1,694 plate appearances, opposing batters have rolled into 83 double plays, which is the equivalent of around 30 GIDPs for a batter over a full season. In his rookie season, Ziegler faced 61 hitters in double-play situations (man on first and fewer than two out), and coaxed them into 20 double plays. And yet he remains largely anonymous, ignored for putting up zeros in the run column because he so frequently puts up zeros in the strikeout column as well, and because his velocity makes onlookers think the radar gun is on the fritz. He also remains essentially without peer in the major leagues; despite Ziegler’s success, no team has come up with its own version of him. Baseball, as an industry, is so much smarter and more sophisticated than it was 15 years ago that it’s almost unrecognizable. The law of diminishing returns has hammered out market inefficiencies; 11 years after Moneyball hit the shelf, teams are no longer undervaluing OBP. For some reason, however, the industry’s collective uninterest in submarine pitchers has persisted; Bradford, about whom Michael Lewis wrote an entire chapter helpfully titled “Anatomy of an Undervalued Pitcher,” has been ignored. The A’s, at least, didn’t undervalue Bradford. They acquired him from the White Sox, who weren’t willing to give him an opportunity to pitch despite great success in the minor leagues, and Bradford gave Oakland four excellent seasons in middle relief before moving on. Oakland, of course, also converted Ziegler. “The A’s tried it with four or five guys just during my tenure there,” Ziegler said, “and it didn’t work with them.” It worked with Ziegler, though, and he repaid the A’s faith with a 2.49 ERA over three and a half seasons. Oakland’s penchant for attempting to convert relievers doesn’t minimize Ziegler’s rare talents; if anything, it enhances them. “In an effort to not sound arrogant, it’s difficult to do,” Ziegler said. “It’s difficult to change this motion you’ve used in the first 20 to 25 years of your life and then start over like you’re 3 years old.” Even the A’s might not have fully appreciated just how rare Ziegler’s transformation was: Midway through the 2011 season, they traded him to Arizona for Brandon Allen, a first baseman the A’s quickly released when they realized he couldn’t hit, and Jordan Norberto, a left-handed reliever who pitched well for one season before blowing out his elbow and getting cut. Ziegler, meanwhile, only seems to be getting better. He’s posted a 2.27 ERA since joining the Diamondbacks, and despite pitching in one of the majors’ most homer-friendly parks, he’s surrendered just five long balls in 186 innings for Arizona. When the Diamondbacks were desperate for a closer last season, Ziegler stepped in halfway through the year and saved 13 of 15 opportunities. He’s getting better for one simple reason: He’s figured out how to retire left-handed batters. Opposite-side hitters have been the bane of every submariner’s existence; Tekulve, Quisenberry, and Eichhorn all had large platoon splits. Against Bradford, right-handed batters hit .245 and slugged .304, while left-handers hit .315 and slugged .451. Since 2012, right-handed batters have hit .210/.258/.271 against Ziegler, essentially the same as before. But left-handers are batting .244/.339/.322 in that span. Superman now wears a Kryptonite necklace just because he can. All that, and he’s under contract for a modest $9.5 million this year and next year combined, with a $5.5 million option for 2016. Despite consistently being one of the best relievers in baseball, Ziegler isn’t paid like it or credited like it. It’s as if what he does on the mound seems so easy — just flipping some fastballs underhand at 85 mph — that the industry assumes his skill set must not be that special. Maybe it isn’t. Maybe there are dozens of potential submarine pitchers among the obscure prospects in the minor leagues just waiting for someone to give them the opportunity. Maybe, if baseball teams appreciated what a Brad Ziegler could do for them, there would be a dozen submarine pitchers in the majors at any given moment. But there aren’t. There’s only Ziegler. And therein lies the paradox: If what submarine pitchers do isn’t that special, why is there only one in the majors right now? And if what they do is that special, then why has the game repeatedly overlooked and underrated them for the past 50 years? Why isn’t every team in baseball looking for a submariner to call its own? Maybe one day the game will solve this paradox, and when managers signal to the bullpen, they’ll point not only to which arm they want, but also to which motion. 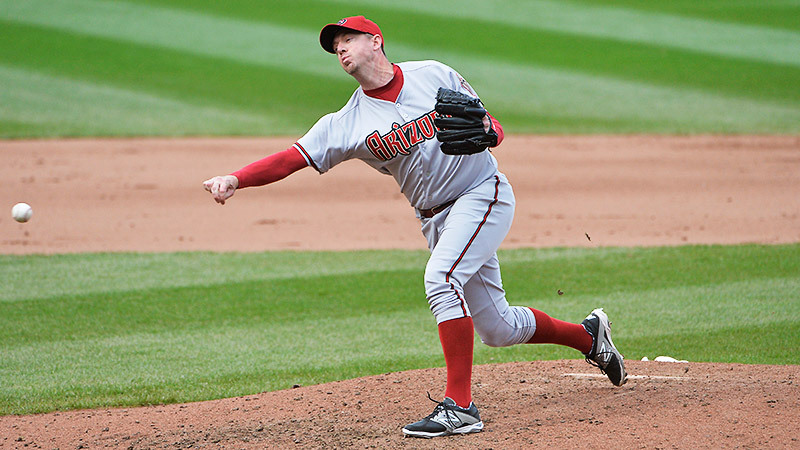 In the meantime, there’s only Brad Ziegler, carrying the torch of a proud tradition and continuing to confound an industry that remains convinced he either doesn’t, or shouldn’t, exist. If we take ERA to the third decimal place, Papelbon leads 2.385 to 2.394, but Papelbon trailed as recently as last Wednesday. Your celebrity panel: Mallory Rubin, the incomparable baseball editor here at Grantland, who most certainly did not insert the word “incomparable” into this sentence; Jonah Keri, Grantland’s chief baseball writer; Joe Sheehan, erstwhile podcast partner and a writer for Sports Illustrated; and Rob Neyer, erstwhile blog partner, longtime ESPN writer, and current Fox Sports scribe. This exhaustive breakdown of the history of submarine pitchers was possible thanks to The Neyer/James Guide to Pitchers, by Bill James and Neyer, which has waaaaay more information than you’ll ever need about every significant pitcher in baseball history. Granted, his league-leading saves were retroactive, as he led the NL in 1965 and 1967, and Jerome Holtzman’s stat wasn’t officially introduced until 1969. Legend has it that Eichhorn turned down the opportunity to throw five extra innings to qualify for the ERA title and take it away from Roger Clemens. The lesson, kids: When it comes to claiming awards, never be magnanimous. You never know when the guy you’re being gracious to will return the favor by using PEDs. In the now-defunct January draft; his draft position doesn’t really correspond to what we think of as a second-round pick today. At least since 2002, the year pitch velocity data became widely accessible. Not counting the strike-shortened 1981 season. While relievers collectively throw more innings every year, individual relievers throw fewer, due to both the role’s increased specialization and to relievers being expected to throw at maximum effort on every pitch. It’s early, but he’s on pace to pitch in 92 games.